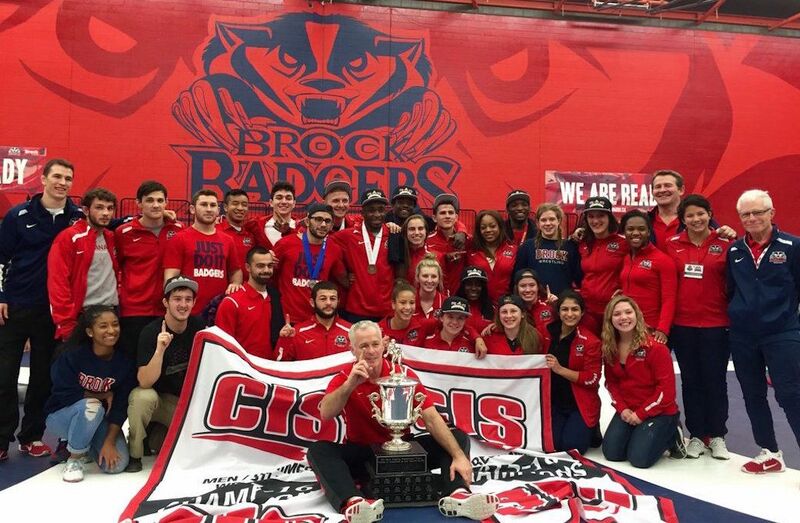 WINNIPEG (U SPORTS) – The perennial wrestling powerhouse Brock University Badgers captured both team titles at the 2017 U SPORTS Wrestling Championships that concluded on Saturday afternoon in the Axworthy RecPlex on the campus of the University of Winnipeg. In women’s competition the Badgers captured their sixth consecutive team title. Brock claimed medals in seven of eight weight classes, including four gold medals to go along with two silver and one bronze to finish the event with 67 points. Guelph finished second (34 points) while the Saskatchewan Huskies finished third with 32 points. On the men’s side, Brock took home medals in eight weight classes, four gold and four silver on their way to winning their fourth consecutive team title. The Badgers accumulated 77 points well ahead of McMaster (37 points). The Alberta Golden Bears finished third with 35 points. Taking home gold for Brock on the women’s side were Tina Mclaren (51 kg), Emily Schaefer (59 kg), Jessica Brouillette (63 kg) and Indira Moores (67 kg). Other gold medalists were Katie Dutchak, Saskatchewan (48 kg), Cara Nania , Calgary (55 kg), Gracelynn Doogan, Guelph (72 kg) and Kiera Prior, Saskatchewan (82 kg). Members of the Badgers men’s team winning gold were Chris McIsaac (61 kg), Matt Jagas (68 kg), Tyler Rowe (76 kg) and Jevon Balfour (82 kg). Marco Palermo, Lakehead (54 kg), Josh Bodnarchuk, Saskatchewan (57 kg), Vincent De Marinis, Concordia (65 kg), Ilya Abelev, UNB (72 kg) , Grayson St-Laurent, UNB (90 kg), Finn Higgins, Winnipeg (100 kg) and Brad Hildenbrandt, Fraser Valley (120 kg) were the other athletes crowned U SPORTS national champions. Following the competition, Illya Abelev (UNB) and Jessica Brouillette (Brock), the 2014 Women’s Rookie of the Year were named the U SPORTS Wrestlers of the Year. "(I'm) very proud of Ilya," said UNB head coach Don Ryan. "He not only is a five-time U SPORTS champion, he also has a 4.3 GPA in school. He is a model student athlete on and off the mats. He officiates high school tournaments, a proctor in his residence and volunteers over 10 hours a week at the hospital." "(Jessica) is one of the leaders on our team and we are very pleased to see that all her hard work and dedication payed off with her winning the national championship and the outstanding female athlete of the year," said Brock assistant coach Dave Collie. "She was fortunate to have the opportunity to showcase her skill and determination against such an amazing athlete in (63 kg silver medalist) Temi Ogunjimi from Calgary." Brock coach Marty Calder was named U SPORTS Coach of the Year on both the men’s and women’s side, his sixth time as women’s coach of the year and eighth men’s honour.